Rainbow Riots - the album featuring queer voices from the world's most Anti-gay countries Rainbow Riots is a new album composed and produced by Petter Wallenberg, featuring queer voices from some of the world’s most dangerous countries for LGBTQ people, such as Uganda, Jamaica, South Africa and Malawi. All proceeds go towards fighting inequalities towards LGBTQ people worldwide. 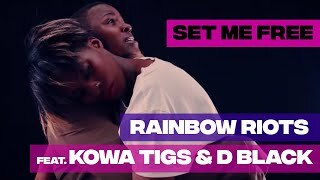 Rainbow Riots - Set Me Free ft. Kowa Tigs and D Black "Set Me Free" is the new single taken from the album "Rainbow Riots" composed and produced by Petter Wallenberg, featuring queer voices from some of the world’s most dangerous countries for LGBTQ people. All proceeds go towards fighting inequalities towards LGBTQ people in Uganda. 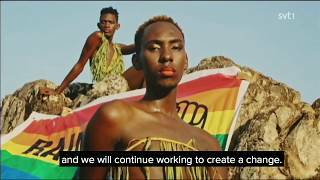 Rainbow Riots - Freedom "Freedom" is the new single taken from the album "Rainbow Riots" composed and produced by Petter Wallenberg, featuring queer voices from some of the world’s most dangerous countries for LGBTQ people. All proceeds go towards fighting inequalities towards LGBTQ people in Uganda. 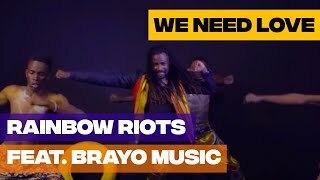 Rainbow Riots - We Need Love feat. Brayo Music "We Need Love" is composed and produced by Petter Wallenberg, featuring Brayo Music. It's the final single from the album Rainbow Riots featuring queer voices from some of the world’s most dangerous countries for LGBTQ people. All proceeds go towards fighting inequalities towards LGBTQ people in Uganda. 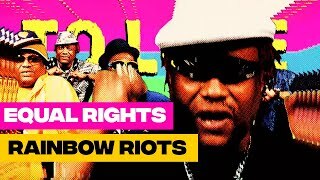 Rainbow Riots - Equal Rights "Equal Rights" is part of an official campaign for the UN's Global Goals For Sustainable Development. It's the first single from the album Rainbow Riots which is released June 16th, and is composed and produced by Petter Wallenberg and features queer voices from some of the worlds most dangerous countries for LGBTQ people. 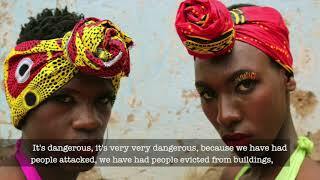 BBC interview with Rainbow Riots BBC Cultural Frontline interviewed Rainbow Riots' founder and director Petter Wallenberg and our Ugandan collaborator Kowa Tigs. 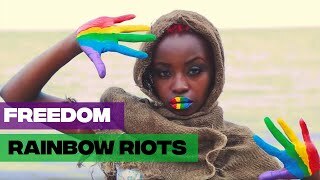 Listen to the story of how the Rainbow Riots album came about in the violent police raid of Pride Uganda 2016. 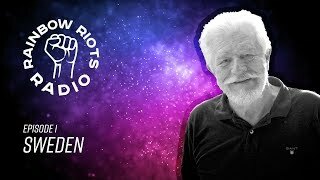 Rainbow Riots Radio - Out May 30th! 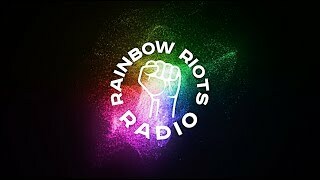 ‘RAINBOW RIOTS RADIO’ - QUEER STORIES FROM AROUND THE WORLD OUT MAY 30th! Rainbow Riots Radio is a new web radio series of ten unique shows exploring queer stories from around the world. 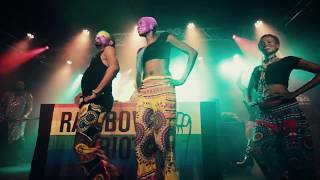 The series is created and presented by Rainbow Riots’ founder, the Swedish artist and activist Petter Wallenberg, who also composed all of the music for the series featuring some of his guests. Rainbow Riots Radio is out on May 30th with a new episode every 2 weeks. Available on iTunes and all major digital platforms. Created and presented by Petter Wallenberg. Guest: Lars Fimmerstad. Music by Petter Wallenberg. Visual design by Johan Mauritzson. 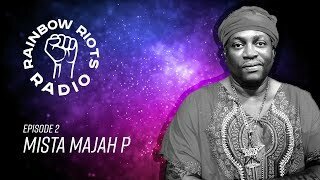 Rainbow Riots Radio - Episode 2: The Jamaican reggae artist who risks his life for gay rights Rainbow Riots’ founder Petter Wallenberg meets Mista Majah P, a Jamaican rapper and reggae artist who has a bounty on his head because he takes a stand against the violent homophobia in his country. 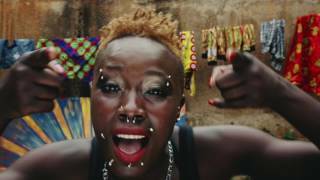 To end the feature, Wallenberg and Majah P showcase their musical collaboration "Equal Rights" which is featured in a campaign for the UN's Global Goals. Created and presented by Petter Wallenberg. Guest: Mista Majah P. Music by Petter Wallenberg. Visual design by Johan Mauritzson. Rainbow Riots LIVE @ Debaser during Stockholm Pride LIVE world premiere of the Rainbow Riots album at Debaser during Stockholm Pride featuring queer singers from the world's most Anti-gay countries such as Uganda, Jamaica and Malawi.